Herbalists use herbs that resemble various body parts to treat ailments of those body parts. Have you ever looked at an herb and had it remind of you of something? Perhaps the brightred berries of the hawthorn tree remind you of its use as a heart remedy, or the hairy tops of horsetail growing make you think of how it strengthens hair and nails. As it turns out, your herbal instincts could be at work without you knowing it. 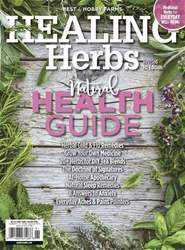 For thousands of years, herbalists around the world have used the Doctrine of Signatures to intuit or remember the medicinal qualities of plants. This theory states that certain features of the plant — what you might call the “signature” — point to its healing action in the body.